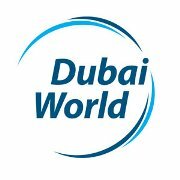 Dubai, Nov 30 :The Dubai government will not back the debt of Dubai World holding group, a senior official confirmed Monday. Though the government is owner, "the company has multiple activities and (is) prone to risks. So from the day one it was indicated that the government is not a guarantor," said Abdul Rahman Al Saleh, director general of the Dubai Department of Finance. "The gross mistake of the media is that they deem the company as part of the government. It is baseless," he said, according to Gulf News. Al Saleh and another official, Dahi Khalfan, who heads the commission for Dubai's governmental budget for 2010, said Monday that global reaction to the Dubai debt crisis is "overblown". They added that banks in the United Arab Emirates have sufficient capital and liquidity to handle the situation. "The UAE local banks possess enough assets, adequacy, liquidity and reserves to continue fuelling the development process," said Khalfan.